even of whisky or chocolate? Welcome! 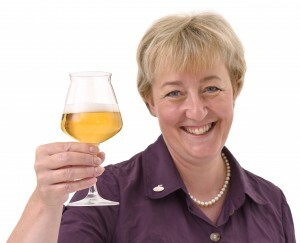 My name is Barbara Teichmann and my passion is “beer”. I invite you warmly to accompany me on an extraordinary journey of pleasure. Let me carry you off into refreshing new worlds of beer and exciting beer stories. You will discover in the beer everything you so far have trusted to be in wine. Enjoy the diversity of perfumes, flavours, colours and new tastes. You will smile about exciting beer stories and be astonished about inspiring ideas of lateral thinking beer brewers. Experience with me a broad range of fine and unconventional specialty beers, from regionally familiar to international and surprisingly exotic. I´m looking forward to seeing you!